And our survey says? EH-OH! Since I launched the survey of women’s spending on makeup last week, I’ve been shocked at the results. And today I’m going to tell you all about what I found out. I think you’ll be shocked too; and possibly this will cause some kind of media frenzy. Or not. 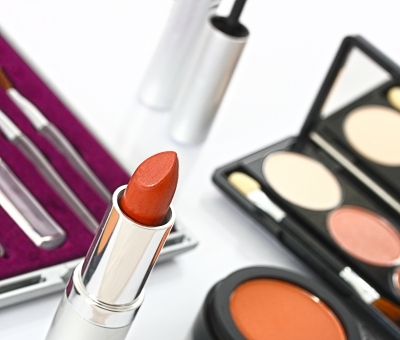 The first major finding of my research was that 66% of women spend just £20 on makeup every year. This was shockingly different from the results of Bionsen’s survey! I wonder where they got their figures? The second major finding was that 100% of women would not rather split up with their boyfriend than go without makeup, and the same 100% agreed that their makeup bag was not crammed full with £130 of cosmetics. The third finding was that the majority (66%) of women only have five products cluttering up bathroom cabinets and dressing tables at home, which was, quite frankly, surprising. I have provided evidence for these findings below, and they definitely coincide with my own feelings about cosmetics. Bionsen were not available for comment on our survey results, but 33% of women in the survey* told Maths Heaven that they spent £1,000,000 on their make-up bag, a figure that is bound to shock you and hopefully make you start questioning how we got our results and why we even bothered doing the research in the first place. Even more curious, why did they publish the results in these times of economic crisis? Maths Heaven provides online tutoring in maths and numeracy, and many women find that we can assist you in investigating the plausibility of these types of claims in the media. Maths Heaven may one day offer a range of homeopathic remedies of which the majority consist of a single granule of table salt in a litre of water. Users can further dilute the ineffective remedy for extra quality and value (£15.99 per litre + P&P). *1 out of 3 women surveyed by Maths Heaven 15/8/11. This survey was peer reviewed by a bloke on the corner of Market Street in Andover on 16th August 2011. This entry was posted in Maths in the Media and tagged bionsen, homeopathy, makeup, media, statistics on August 17, 2011 by Zoe Baker.